Here’s a look at what non-Marvel/DC comics are coming out in April 2017. 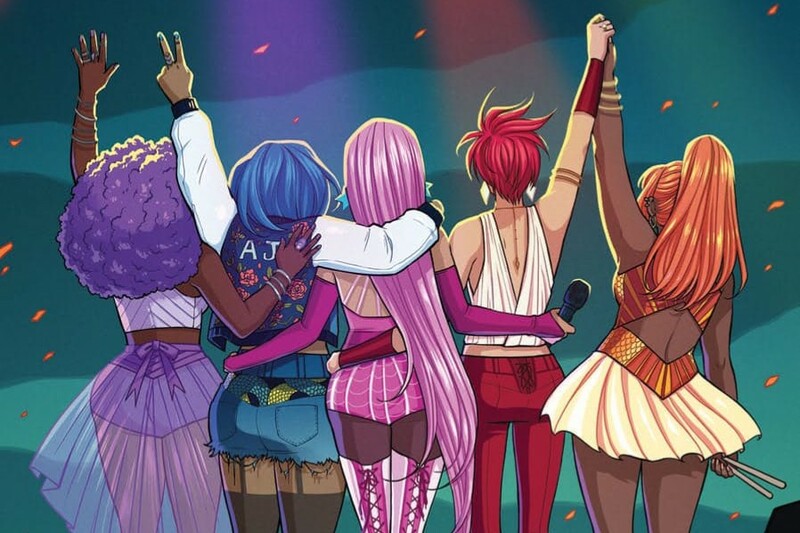 This month marks the final issue of “Jem and the Holograms,” despite the series being well received by fans. However, the creators state there’ll apparently be new “Jem” material coming in the future. Additionally, I assume the “Misfits” spin-off series will continue to be published? Archie’s putting out several one-shot specials, including ones for Sabrina (as “Little Sabrina” from the “Little Archie” setting) and Moose. There’s also a digest story where Betty and Veronica meet Canadian prime minister Justin Trudeau. The gang’s parents appear in this month’s “Lumberjanes,” as part of a “parents’ day” story.